1st T20I India vs New Zealand: Captain Rohit Sharma joined former India skipper MS Dhoni after India was hammered by Kane Williamson's Blackcaps by 80 runs at Wellington. 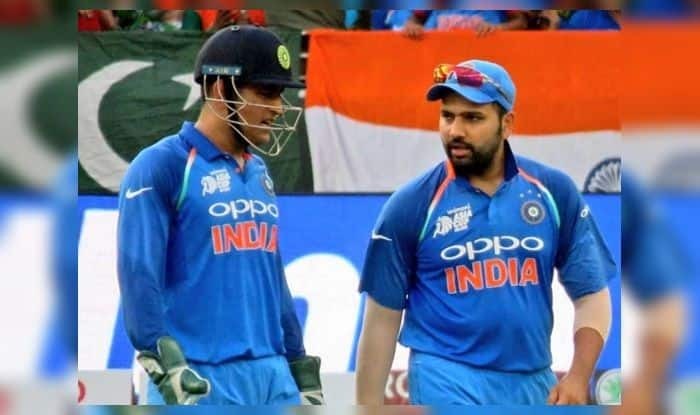 1st T20I India vs New Zealand: Captain Rohit Sharma joined former India skipper MS Dhoni after India was hammered by Kane Williamson’s Blackcaps by 80 runs at Wellington. Rohit’s seven T20I-winning streak came to an end with it. It broke India’s run of seven straight T20I wins under Rohit Sharma – the joint most alongside MS Dhoni. Not something Rohit would have been hoping for but at the press conference, he accepted that his side was beaten in all the three departments and also blamed the batsmen for not taking more responsibility. Meanwhile, Dhoni bagged an unwarranted record as it was the fifth occasion when he was the highest scorer and it came in a losing cause. The Men in Blue were hammered by the Kiwis by 80 runs in the Wellington T20I. It was also India’s biggest loss in terms of runs in a T20I. Dhoni came in late when the asking rate was more than 12 per over, he looked in the mood to go after the bowling, but it was too little too late as he hit a 31-ball 39. Dhoni also went past 1500 runs in T20 internationals in the process.